The rays of The Sonic Dawn are like a reminder that reality is only temporary. Flickering between light and darkness, their sound burns with an intensity that places the Danish trio among the top psychedelic acts of their time. 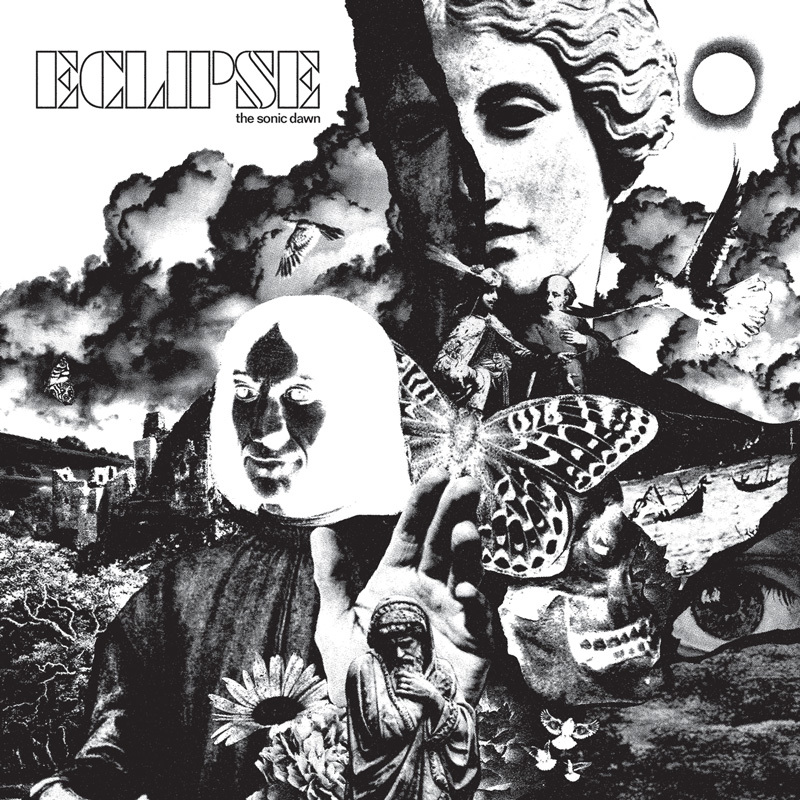 Following their first two album releases, The Sonic Dawn have toured Europe more or less constantly, only returning home to focus on their biggest work to date: Eclipse, their third full-length, is the product of a full year's labor, with all 13 tracks carefully selected among over 40 candidates. Inspired by personal tragedies and the current meltdown of the world as we know it, the songs deal with a feeling of despair that many will recognize, but also seem to say that we can heal and come out stronger, if we dare take the leap. The result is a cinematic journey in sonic technicolor. Here, even the catchiest melody casts a mysterious shadow, and every mind altering solo is torn out of Emil Bureau's guitar as if it owed him money. Eclipse was recorded to tape in The Village Recording, Denmark's best analog studio, and produced by The Sonic Dawn and Thomas Vang (Roger Waters etc.). Mastering in Svenska Grammofonstudion by Hans Olsson Brookes (Graveyard etc. ), and cut to vinyl in Abbey Road Studios, for the ultimate sound quality.